The question “Which is better? Fixed resistance or free weights?” is commonly asked. The answer, in all honesty, is: neither, it depends on the individual and their goals. Fixed resistance strength receives mixed reviews from many people. ‘Too restrictive’ and ‘too outdated’ are just a couple of the negative comments thrown about. However, like any piece of equipment, the negatives can be offset against the positives. This is the same for free weights. Again, there are negatives and positives to using these as part of your training. In the end, however, it’s about the goals of the individual. So, in this article, we are going to discuss the benefits of them all to allow you to fit them into your programme accordingly. Some coaches/trainers stay away from these thinking that ‘it’s too simple’ or even ‘I’m not needed’, due to the ease of use and minimal technical coaching required compared to the impressive, more technically advanced, barbell work you can do. However, sometimes these machines are perfect for the goal that individual wants to achieve. Coaches need to be willing to overcome their ego and programme them in where appropriate. Unlike a barbell, the instructions for each machine are on the machine itself, indicating how to set up, move, and what muscles are involved. This may seem like a simple benefit to those more advanced users, however, for someone who has never done any form of resistance training, this can help them out hugely and take away the fear of looking silly. The adjustments are colour coded, quite commonly in yellow. On a standard machine, you can adjust seat height, lever and obviously the weight stack. All levers are simple and quick to move. This allows you to perform a faster workout without having to worry about loading and unloading plates off a barbell or spending time looking for a space to perform. For beginners and older generations with little free weight experience, there is less technique involved in fixed resistance. The machine moves in a guided way, therefore there is less opportunity for them perform the exercise incorrectly. After equipment inductions, the focus for them will be grounded feet (dependent on machine), postural cues, e.g. back flat against the support, controlled speed throughout the movement, and working through a full range of motion. Due to this, it is easy for trainers or coaches to feel confident programming resistance machines to certain clients with less experience. Fixed resistance machines allow you to isolate specific muscle groups without using other muscles, for stabilisation like free weights do. 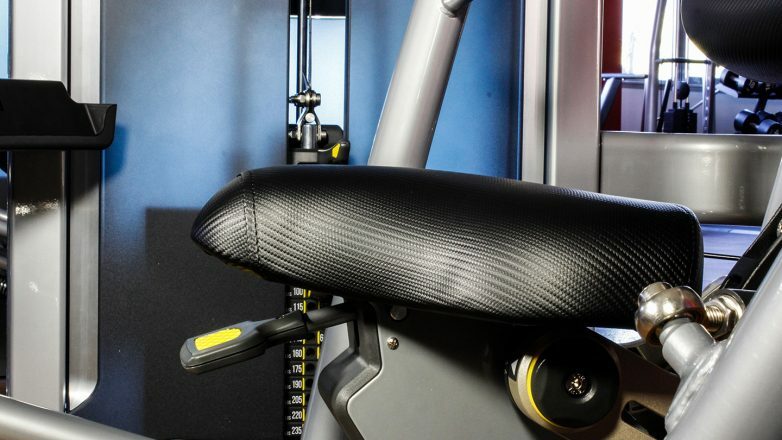 This can be beneficial for ironing out imbalances, for rehabilitation purposes or even specific muscle growth, adding in another form of stimulation. 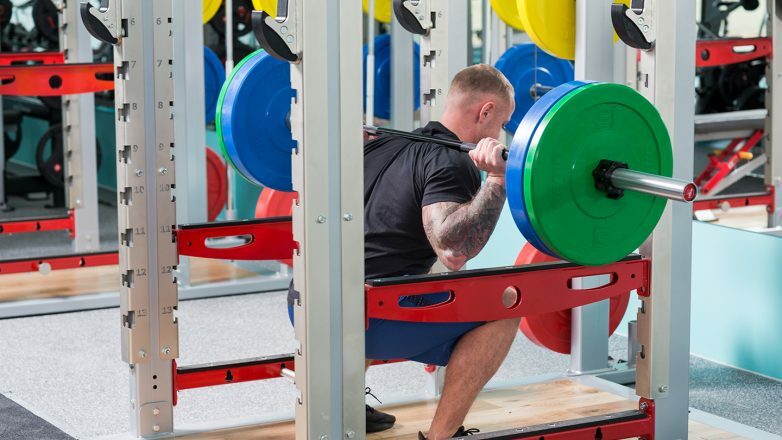 With a lesser focus on mechanical and technical elements involved in fixed resistance, unlike free weights, you can really focus on the effort you put out rather than the movement you must perform. Allowing in some cases, depending on experience, for a more intense session. 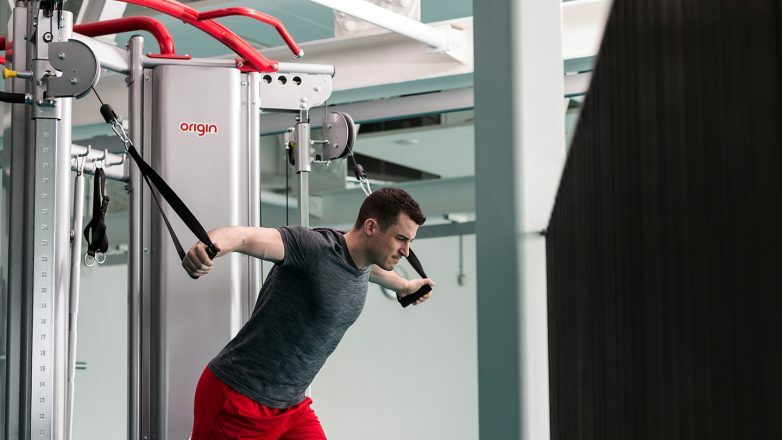 There are so many different attachments and angles that you can create with a cable machine, whether it’s a dual adjustable pully or a single station, the exercises are nearly endless. Users can hit every plane of movement, and body part on one machine. You can do a whole workout on one station. Compared to having several stations for fixed resistance. Great for smaller sites that want something along the lines of fixed resistance but do not have the space. One Dual Adjustable Pulley or Single Cable station will be a huge cost reduction compared to the several stations required fitting out a site with a fully complement of fixed resistance machines. More technique is required compared to the fixed resistance machines because of the lack of guided movement. Due to the fact there are so many exercises available, it generally takes more instruction from the coach to get someone confident in using one. The more technical something becomes; the more control is needed. The cable machines are closer to a ‘functional’ movement. This can be the stepping stone between fixed resistance machines and free weight’s. 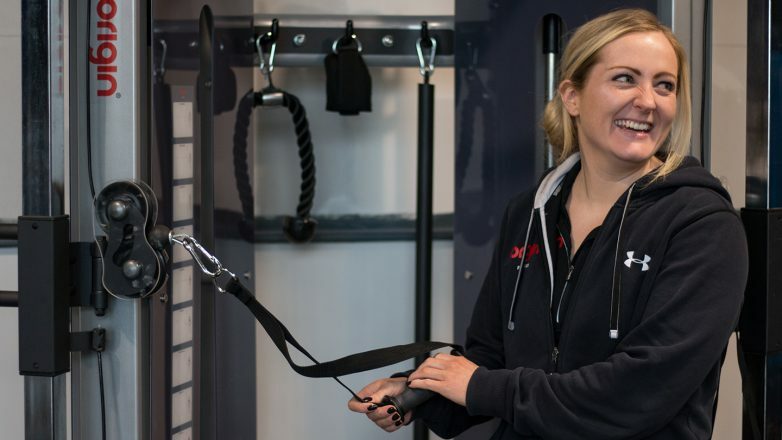 Moving straight to a bar to some individuals may be slightly daunting, whereas many members will be more familiar with the sight of a cable machine. They need to learn how to set up the machine and focus a lot more on technique than with the fixed resistance, adding in more independence. 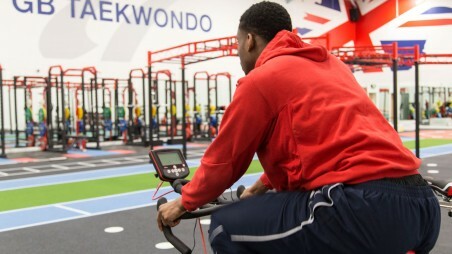 These machines may not be situated in the dominant free weight areas that scare some individuals away, so it also allows them to feel more confident in themselves performing their exercises. Increased total body control with certain exercises when e.g. standing, or with less postural support due to no seat/back pad, there will be an increase in stabilisation muscles required to support the body in a certain position. Definition here is ‘weight which is not connected to a fixed machine’. I have included accessories in this category as they are adding load to the body like a barbell, just with less weight and a different shape. Free weights are seen by most as the ‘king of the gym’ for strength training, however, again, they should only be used when needed. Not everybody needs to do a barbell squat. Free weights require total body control for most exercises. Whether it is a squat, or a shoulder press, stabilisation and a sturdy base are essential to avoid injury. Fixator muscles will be utilised more along with the prime movers and synergists already in use. This is more relatable to our everyday movements. Moving our full body rather than just one particular muscle. After conquering technique, more experienced users will generally be able to load a barbell in a squat more than say the weight on a fixed resistance leg press. This may be different for plate loaded equipment. 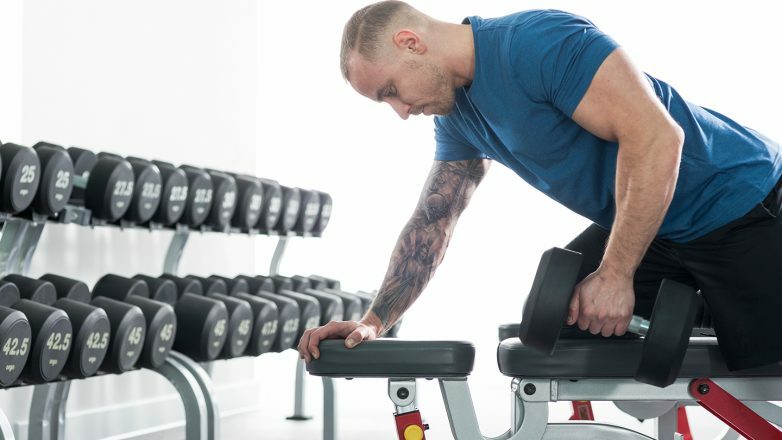 Free weights involve activation of more muscles at one time, sometimes total body movements, therefore, this could end up being a more efficient workout compared to hitting each individual muscle per exercise. Like cables, there are an extensive amount of exercises that can be performed. 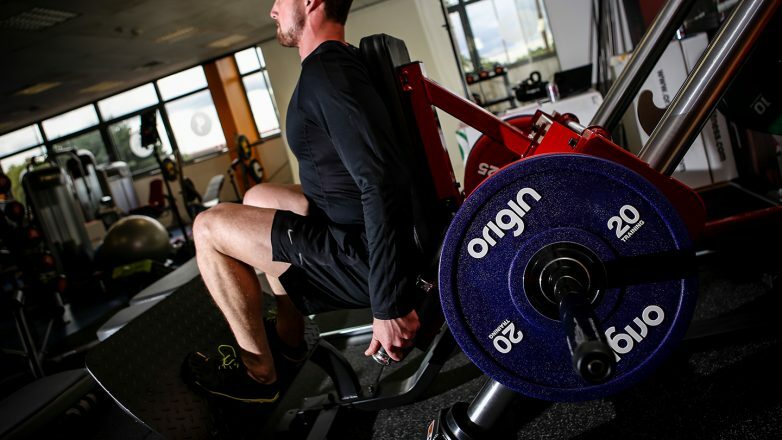 Manipulating body position to play with angles and grip to target slightly different muscles in individual lifts can add in a balanced approach to your strength training programme. Less equipment is required, therefore, it can be a huge money saver. This is why a lot of facilities, especially smaller studios and a lot of performance facilities will have chosen little or no fixed resistance machines at all. Unlike cables or fixed resistance, free weights are less bulky and can easily be stored away on racks, in cupboards, corners or home gyms quite easily. This is one of the many reasons free weights are so popular. So, as you can see, each piece of equipment has its place within a training programme if it’s available to you. The decision of which to use depending on individual goals, experience and the unique characteristics of the individuals. There is no need to exclude any because you feel one is better than the other. This entry was posted in Knowledge & Advice, Training Guides, Gym Owners Advice, Product Reviews on 20th November, 2017 by Claire Tracey.